Tired of replacing wood mulch every year? Get off the wood mulch treadmill and land, with low impact, on our economical Treadscape Rubber Mulch. 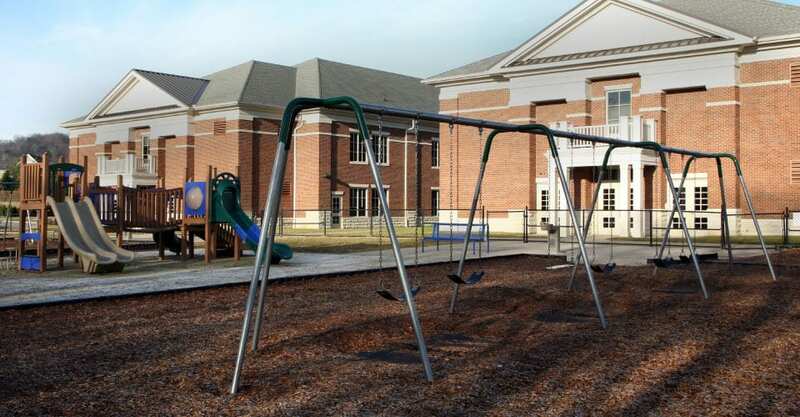 NWA Rubber Mulch supplies top-quality mulch products for both residential and commercial use, as well as for parks, school playgrounds, daycares, churches, government and training use. 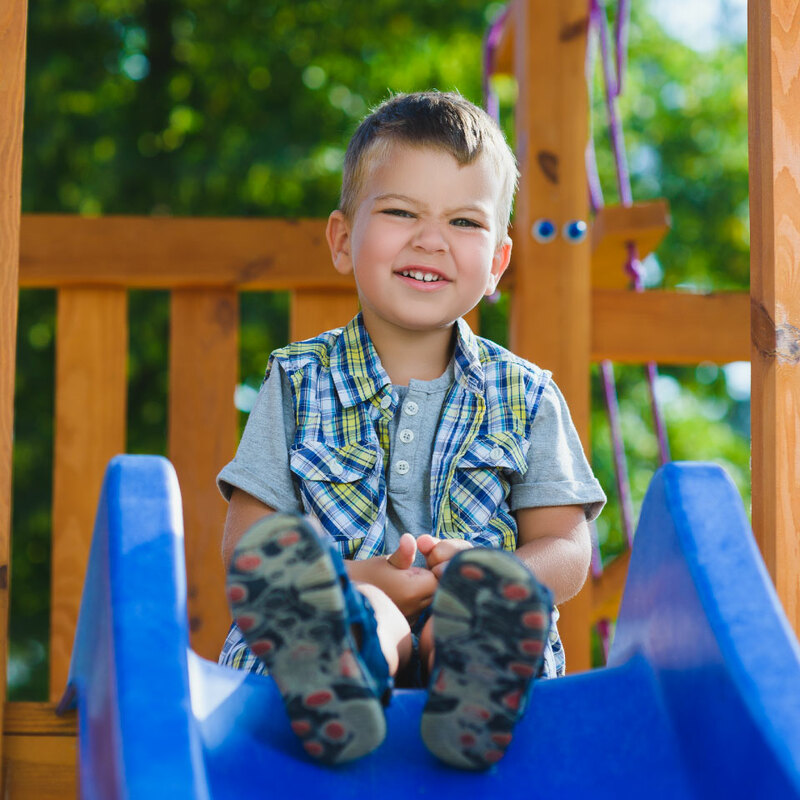 We provide playground and landscape mulch for Arkansas, Missouri, Oklahoma and nationwide. 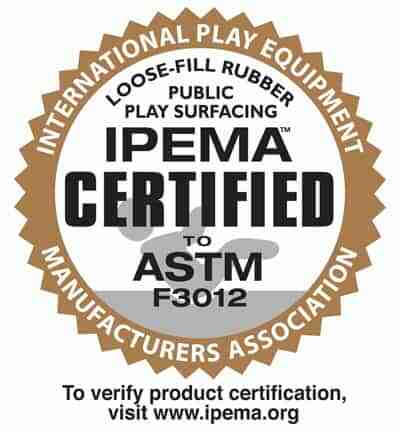 Our recycled rubber products are proudly made in the USA and manufactured for the highest possible quality. NWA Rubber Mulch ships anywhere in the continental U.S. Our Treadscape Rubber Mulch lasts for more than 10 years without fading, resists insects and rot, stays in place and is almost maintenance free. Learn more about NWA Rubber Mulch products, the top-quality ground cover choice for parks, schools, daycare centers, businesses & homes. Our quality rubber mulch comes in a variety of colors for an assortment of projects including playground surface, landscaping and more. 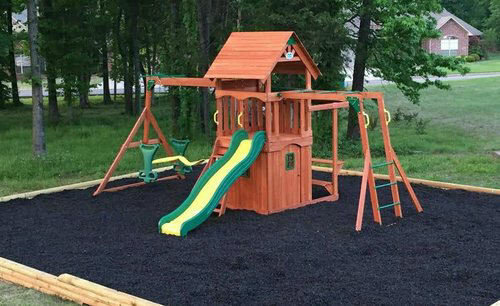 There are countless reasons why NWA Rubber Mulch products are unsurpassed by traditional surfacing for playground and landscaping projects. 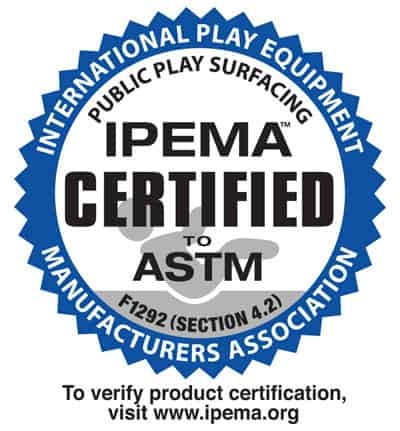 Rubber mulch is a unique playground surface, as it provides shock absorbency that reduces the incidence of playground injuries. It offers more shock absorbency than wood mulch, gravel or sand. 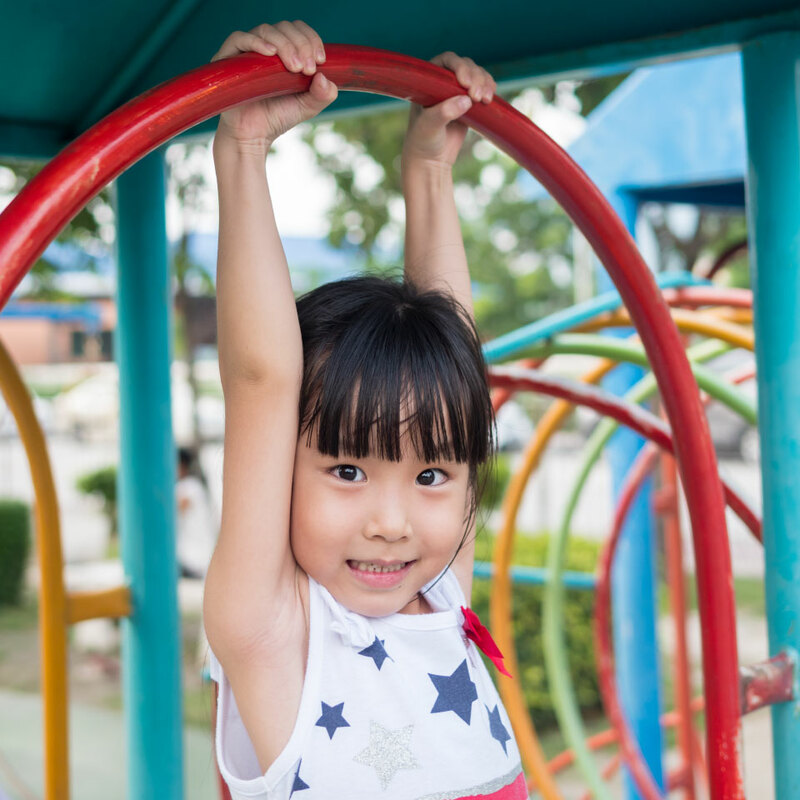 Because rubber mulch requires little maintenance, dries quickly after rain and will not decompose, it’s the perfect cost effective option for play areas and playgrounds. It’s also ADA compliant. Rubber mulch is the most cost-effective choice because it does not decompose, fade or blow away. 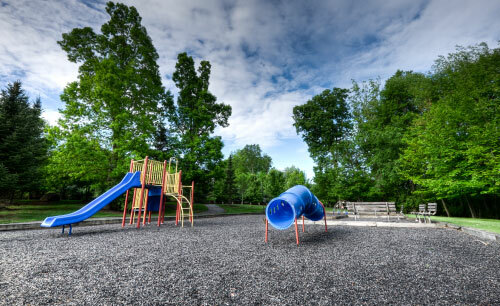 NWA Rubber Mulch has all the resources you need to help plan your playground or landscape project. 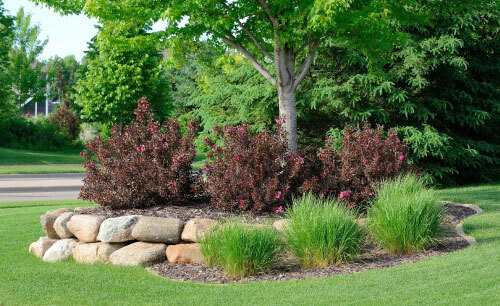 At NWA Rubber Mulch we are very proud to provide an outstanding, sustainable rubber mulch product for a variety of low-maintenance projects while supporting the reduction of waste in our environment. Do you have questions or comments about our rubber mulch products? Are you ready for a free quote? NWA Rubber Mulch makes it easy to contact us with questions or comments you may have about our rubber mulch products. 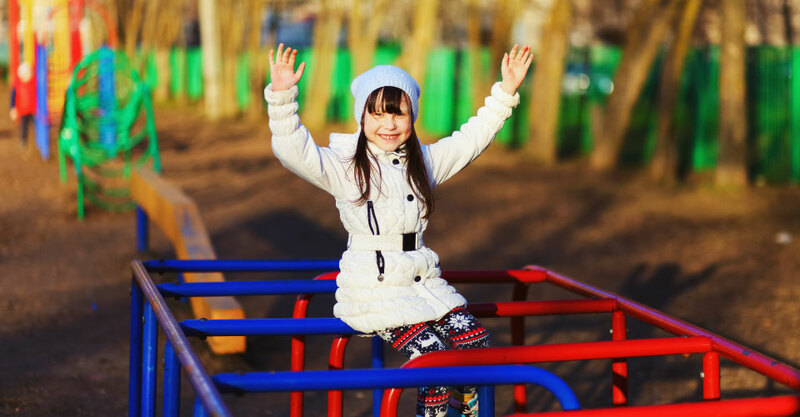 Our staff would like to help you plan your playground, landscape or other low-maintenance mulch projects.